Highlights of every EAPC Congress are the EAPC Researcher Awards, which recognise and support the work of scientists and clinicians who make an outstanding contribution to palliative care research. 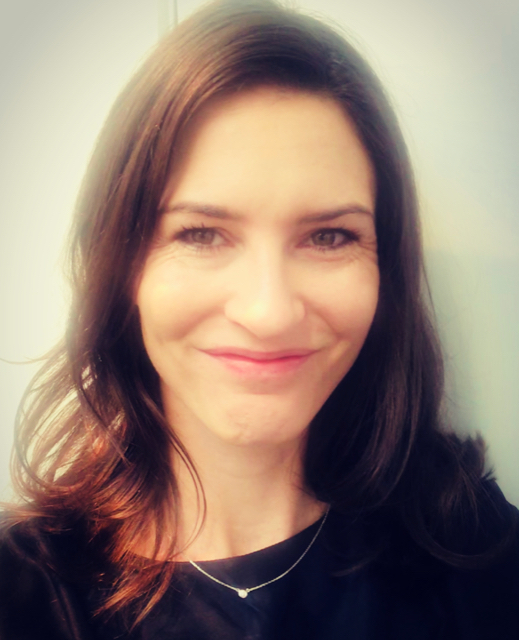 We talk to Anna Collins, winner of the 2018 EAPC Early Researcher Award, about her work as a Research Fellow at the VCCC Palliative Medicine Research Group, Department of Medicine, St Vincent’s Hospital Melbourne, University of Melbourne Australia. What do you mean by ‘routine integration’ of palliative care? Anna Collins: Current practice typically involves palliative care being ‘integrated’ into a person’s care based upon clinician-identified need. Imagine that in addition to this system of access based upon need, clinician decision-making could be augmented such that palliative care is automatically or ‘routinely’ integrated according to ‘triggers’ or standardised times in an illness course. These standardised times would be based upon a person’s interaction with the health system and occur when population-level data suggests greater needs are expected to follow. Having standardised times where palliative care referral is routinely considered may also reduce the barriers for patients, given it is ‘routine’ for all and represents best quality care at this time – instead of something ‘special’ required by the individual person. In my work, the concept of palliative care for ‘me’ and its understood implications – as opposed to the concept of palliative care in general terms – was the most difficult barrier for patients to overcome. Importantly, the idea of ‘routine’ integration would enable palliative care to be recognised not as ‘elective’ or an optional extra, but simply a component of quality care. Where did you find the highest barriers towards initiating palliative care – with patients, family or staff members? AC: I think the biggest barrier across all parts of the system is knowing when and how to raise palliative care – for patients and families who have limited understanding and fear the meaning of palliative care, for colleagues who fear upsetting patients, and perhaps for palliative care clinicians who fear how we will keep pace with the broadening demand for service. Speaking with patients and families about palliative care for the first time does often raise many questions. Yet, most of these questions are readily addressed by describing the practices of palliative care, and the evidence to support the outcomes associated with this additional layer of support. I find that once people understand palliative care in these terms, most are quite eager to make sure they get access to this. All people, especially those facing serious illness, want quality care – but most people do not understand what this care looks like, or how to get it. It’s our job to make sure people have access to the right information at the right time so that they are able to make their own informed choices about the care they receive. Anna delivering her plenary lecture at the 10th EAPC World Research Congress in Bern today, 25 May 2018. Can you tell us more about your special interest in public education programmes in palliative care? AC: I think palliative care has an important role to play in community education and also a broader societal discussion around how we live and die well. People with serious illness are ultimately cared for in communities, and so, the community is – and has always been – a very important partner for palliative care. The role of community in caring for our sick and frail will only become more important as our population ages, and the number of deaths from chronic illness increases. Our role in public education also speaks to a bigger issue about equity. Care for those with serious illness should not be based on luck – if your doctor is comfortable to have these difficult conversations, if your doctor is knowledgeable about the evidence for best practice, or if your doctor identifies you as a person with “palliative care needs”. My research has shown the inherently negative discourse that surrounds palliative care, which is seemingly based upon people’s fear and avoidance of death. Thus, starting education in the community before a person is himself or herself facing an unimaginable future, may mean that when this time happens for their sister, their father, or even themself – palliative care is understood as an essential component of routine quality care. In doing so, hopefully, we empower the community to drive change to health systems – similar to when palliative care began. Who, or what, inspired you to follow a career in palliative care research? AC: A career in palliative care research initially began somewhat by chance. Starting out in psycho-oncology, palliative care was an obvious area where people face significant psychosocial needs. I first became involved in the development of a model of supportive and palliative care for people with high-grade glioma led by Professor Jennifer Philip. The high-grade glioma illness is one of significant challenge – great uncertainty, all the complexities of a neuro-oncological trajectory, and for some – rapid change and deterioration. The stories of patients and carers that were shared with me through this work were perhaps my first experience of the realities of what it means to live with an incurable illness. I still recall being particularly struck by one man’s story, shared with me just days before he died. Despite having a loving and supportive family, this man –immobile with a marked tumour-related paralysis – described how his loneliness in these times was countered by the sound of the air mattress gently humming, as the air was slowly inflated from one side of the bed to the other. He wasn’t afraid of death, but he greatly feared the pain of talking to those he loved most about dying and their life after his death. And so, I find it compelling to think that the nature of this man’s greatest pain at this time was of a sort that perhaps could have been ‘cured’. With this understanding, came a passion for improving the way we provide care and also the way in which our community responds to those in their moments of profound vulnerability. What does winning the EAPC Early Researcher Award mean to you? AC: This award is a tremendous honour. The opportunity to share some of my work with many international colleagues is certainly a career high. Living in Australia, we are physically located a long way from other innovative work occurring in Europe, North America and other parts of the world. Yet, Australia has high-quality palliative care services and many Australian colleagues are doing really pioneering work in palliative care. It is terrific to bring some attention to a little of what’s happening in palliative care research ‘down under’. Do you have any tips for other young researchers? AC: My biggest tip to other young researchers is to find a generous mentor that is willing to support your career development. All the best research happens in a team, and when you are early in your career, it’s especially hard to effect real change or even know where to start. A research career doesn’t come without hard work, but being connected with a productive team and mentor means you will likely be presented with more opportunities to develop your ideas and skills. And, it’s certainly more fun! Apart from this, I think you have to be willing to put yourself out there, say yes to things that come your way, and learn to trust your colleagues enough to send your work for review before it’s perfect. It’s easy to find yourself ’stuck’ and the most efficient way to move forward is to look to your peers to input their ideas or challenge you. And finally, outside of palliative care, what do you like to do to relax and unwind? AC: Growing up on a farm in Australia, I love the outdoors and relish open space. Running, yoga and growing veggies is my idea of fun. Read the abstract of Anna Collins’ plenary lecture, So Palliative Care Works: What now? Achieving the Routine Integration of Palliative Care in Clinical Practice, in the EAPC Book of Abstracts for the 10thWorld Research Congress, Palliative Medicine, volume: 32 issue: 1_suppl, page(s): 3-330. Follow the EAPC World Research Congress at #EAPC2018. Read more from Anna Collins on the EAPC Blog. ‘On the nature of our ‘Image Problem’: Initial perceptions of palliative care’, and (with Kristina Thomas) What it means to be a parent of a dying child. Both posts related to longer articles published in Palliative Medicine and were selected as ‘Editor’s Choice’ in September 2017 and December 2016 respectively. Contact Anna Collins by email or twitter @AnnaLCollins. Look out for more interviews on the EAPC blog with Dr Thomas W LeBlanc winner of the Clinical Impact Award, and Dr Lorna Fraser, winner of the EAPC Post-Doctoral Award. 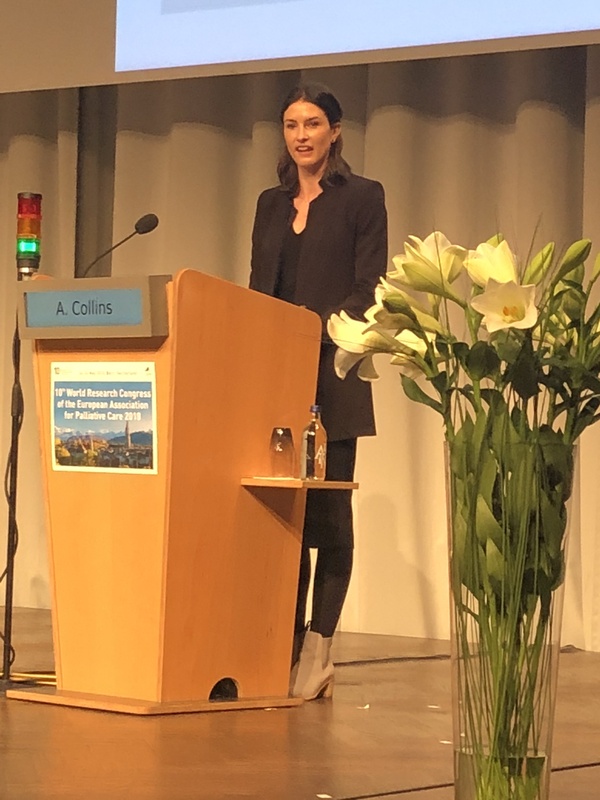 This entry was posted in EAPC Researcher Awards, EAPC World Research Congresses, INTERVIEWS & TRIBUTES, RESEARCH and tagged Anna Collins, EAPC 10 th World Research Congress, integration of palliative care. Bookmark the permalink.